…unfortunately, this graph shows the devastating truth: the average PPC advertiser is seeing significantly lower search conversion rates on mobile devices than tablets or desktops. Given these stats, we decided it was high time to buckle down and figure out what PPC advertisers can do to nail down more mobile conversions. With the guidance of WordStream’s expert data scientist, Mark Irvine, I was able to identify the top three issues contributing to this frustrating trend. The good news is, each of these problems is easy to diagnose and just as easy to resolve. 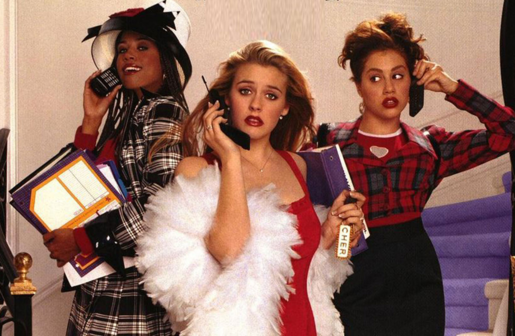 Kick these 3 bad habits and you’ll see your mobile conversions skyrocket in no time. It’s important to remember that a mobile SERP is considerably different from a desktop or tablet SERP, due to its limited ad space. As a result, competition is fierce. As you can see in the chart below, mobile ads are less likely to be shown, even in position 1. If you do make it on the page, it’s crucial to appear in positions 1 or 2, since users are unlikely to scroll to the bottom of the mobile SERP (impression share for positions 3 and 4 are minute). If you’re below position 4, forget about it. 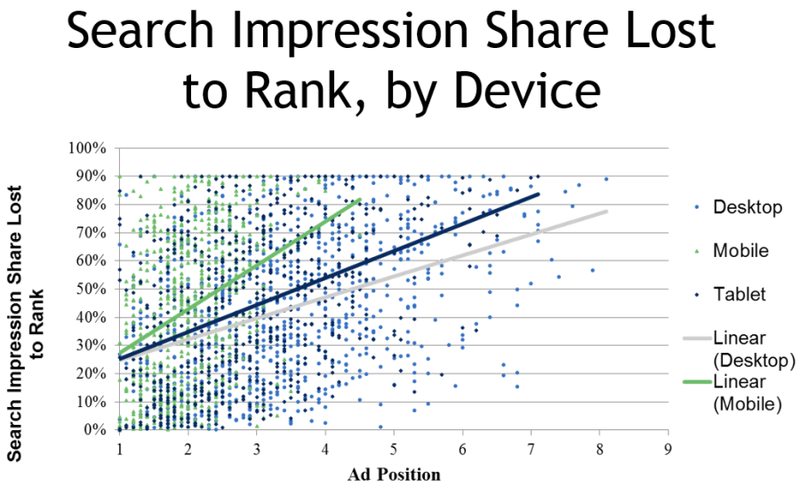 Now, let’s look at impression share lost to rank, by device. 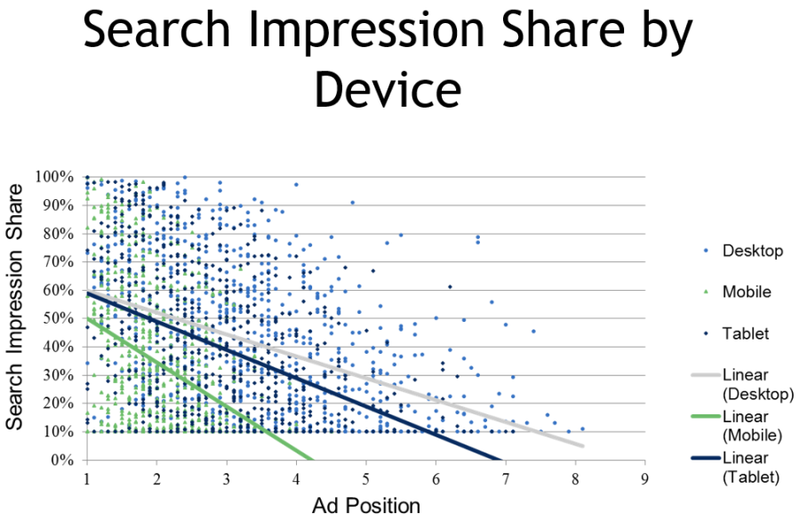 As you can see, the mobile impression share penalty is 2x more dramatic than its desktop counterparts. Clearly, to play in the mobile space, you need to be laser-focused on ad rank. I know it hurts to hear it. 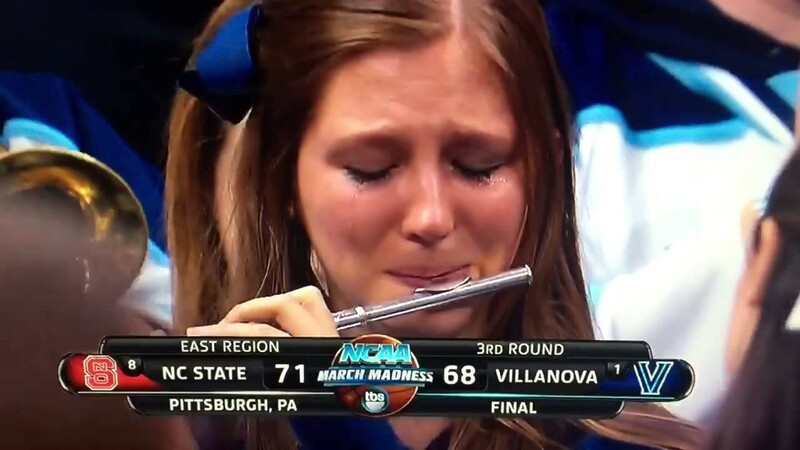 But instead of sitting there feeling dejected like this chick (sorry Villanova Wildcats fans, I couldn’t resist), let’s walk through a few solutions that will help you boost your ad rank and get back in the game. 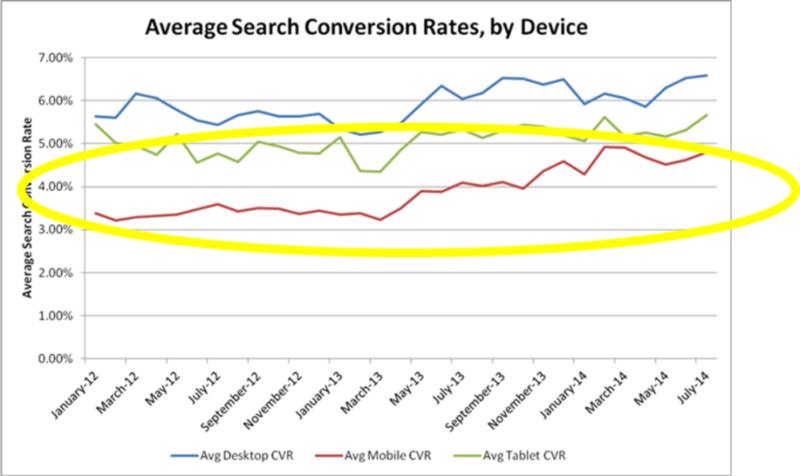 The key to mobile visibility is boosting ad rank. The ad rank formula is pretty cut and dry. Google takes your max CPC bid, multiplies it by your Quality Score and, voila—ad rank assigned! The first component to consider is your bidding strategy. If you’ve been relying on the same mobile bids for a while, it’s time to reevaluate your strategy. 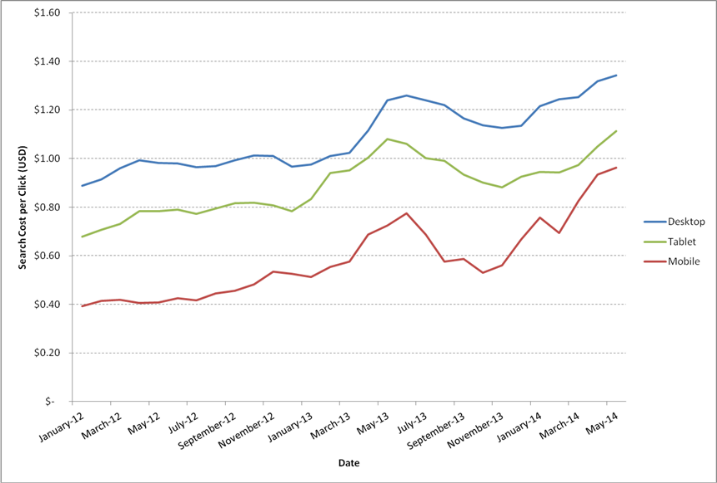 As you can see in the graph depicted below, Mobile CPCs have tripled in the last 3 years. We project that this trend is likely to continue, so if you aren’t on top of it, you’ll be left in the dust. Don’t panic—you don’t have to jack up your desktop/tablet bids too—all you need to do is increase your mobile bid modifiers. Luckily, it’s not ALL about the money. 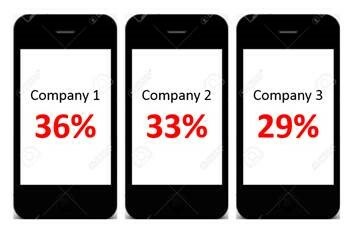 We’ve also found that every +/- 1 point in Quality Score results in +/- 18% change in mobile impression score. You may not have the extra cash to bump up your mobile bids, but with a little elbow grease, you can make a big impact on your Quality Scores. To learn more about how to what you can do to raise your scores, check out this post. Any sales person will tell you that incoming phone calls are, by a longshot, the hottest, most desirable leads you can get. True story—I’ve witnessed sales reps engage in full out brawls in pursuit of a ringing telephone on more than one occasion (one resulting in a broken arm!). It sounds crazy, but their fervor is warranted. On the other end of the line, there’s likely to be a prospect who is genuinely interesting their product/service and ready and willing to chat about it. A dream come true for just about any sales person. 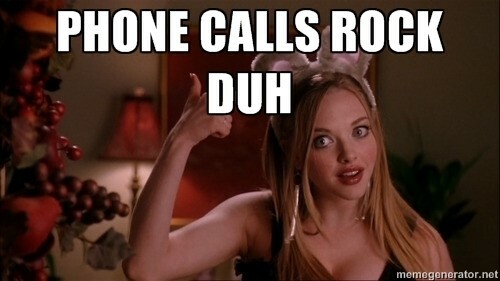 As advertisers, it is critical that we remember the important of phone calls. Mobile ads could not be a more ideal place to promote phone calls, especially with the advent of the click-to-call feature. 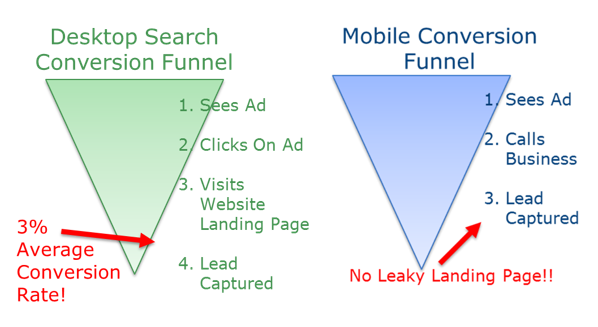 Consider the differences in the funnels below. In an ideal world, when a searcher is using a desktop computer, they see an ad, click on it, visit the landing page and complete the form. The problem is, the average landing page is only driving 3% of those visitors to convert. Even if they do submit their information, you run the risk of losing them if you don’t contact them promptly. Now, consider the same scenario on a mobile device. By using click-to-call, you can bypass the leaky landing page altogether and connect with your prospect immediately. Our data shows that calls from mobile devices are worth 3x more than clicks to your website. The bottom line here is, you should be doing everything in your power to promote phone calls. Gone are the days of optimizing your mobile campaigns based on standard metrics like CTR or basic conversion rates. When you’re testing your mobile ads, focus on call rates. Luckily, AdWords has updated their interface to provide call detail metrics, making this even easier. There’s a ton of actions you can take to encourage searchers to contact you before they make it to a leaky landing page. 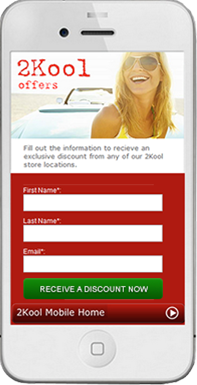 The first strategy I recommend is to utilize mobile-preferred ads. These ads will only appear for mobile searchers, so you can tweak your language to encourage them to dial your number (i.e. Call Now for a Free Quote!). This simple change can have a drastic impact on your account. Our data shows that mobile-preferred ads yield more than double the number of conversions than non-device-specific ad text. I also recommend implementing Call Extensions, which will provide searchers with a clickable call button alongside your ads. These are stupid-simple to create and require little to no maintenance, yet they are responsible for an astounding percentage of conversions. You can also experiment with Call-Only campaigns, Google’s newest brainchild. This feature eliminates the searchers’ option to click through to mobile landing pages altogether and instead provides phone call information. These are even more reliable than call extensions, because the click-to-call button is always guaranteed to appear, regardless of the ad’s position. I predict that these will become hugely popular in the coming months. Adjusting time-of-day bid modifiers to reduce bids and deprioritize ads triggered during your off hours. Using advanced scheduling options to schedule extensions during the appropriate times of day. Setting up day-parting to pause campaigns during your off hours. Remember, by promoting calls, you’re introducing a human component to your conversion process. It’s important to work closely with the team that is answering your phones. Think about it this way: call center staff training is the landing page optimization of mobile. Communicate frequently to ensure that they are staffed sufficiently to handle your call volume and encourage them to provide qualitative feedback on your PPC leads. 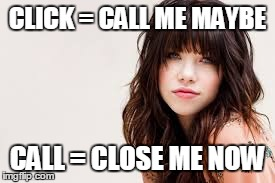 I also recommend running test calls on a regular basic to understand a caller’s experience. You may also wish to utilize a call tracking solution, which makes it easy to track and record the phone calls you are driving through paid search. The mobile landing pages below make me cringe (and I’d bet $20 bucks that you’re cringing too). If I ended up on one of these sites I’d probably head right back to the SERP, click the option to switch to the main site, or pull a Naomi Campbell and throw my phone across the room. And honestly, wouldn’t you? They’re outdated, overly simplistic and devoid of information. 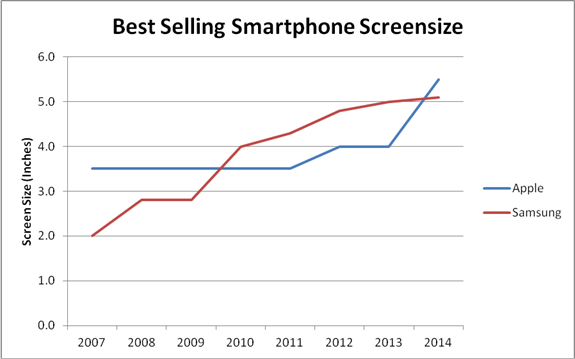 NEWSFLASH!—mobile devices aren’t slow anymore. 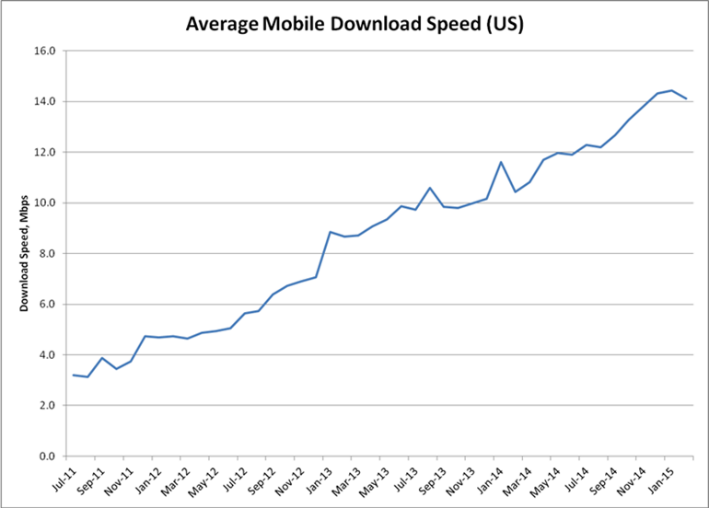 In the graph above you’ll see that the average download speed for cellular devices is skyrocketing. In fact, they’re so reliably fast that I’ve shifted my routine to do most of my daily “computer” activities (think watching movies, checking email, even managing PPC) on my cell phone. And guess what, they’re not small either. Come on, I can’t even HOLD an iPhone 6+ with one hand or fit it in my back pocket. They’re dubbed “phablets” for a reason, folks, those suckers are huge. If you have a crappy old website built to accommodate users’ slow, miniscule smartphones, it’s time for a reality check. In an ever evolving mobile space where phones are only going to get more and more sophisticated, your website is badly in need of a revamp. OK, so what happens if you know a mobile site is badly in need of a makeover, but you can’t convince your boss/client to commit to updating it? I recommend setting up a test and letting the data do the talking for you. We did something similar here at WordStream a few months ago, to show our clients that their sites needed a little more attention. We chose three sites, and for each site, we ensured there was an option available to view the main site directly from the landing page. We then tracked the percentage of people who elected to switch to the full site, and the results were astounding. 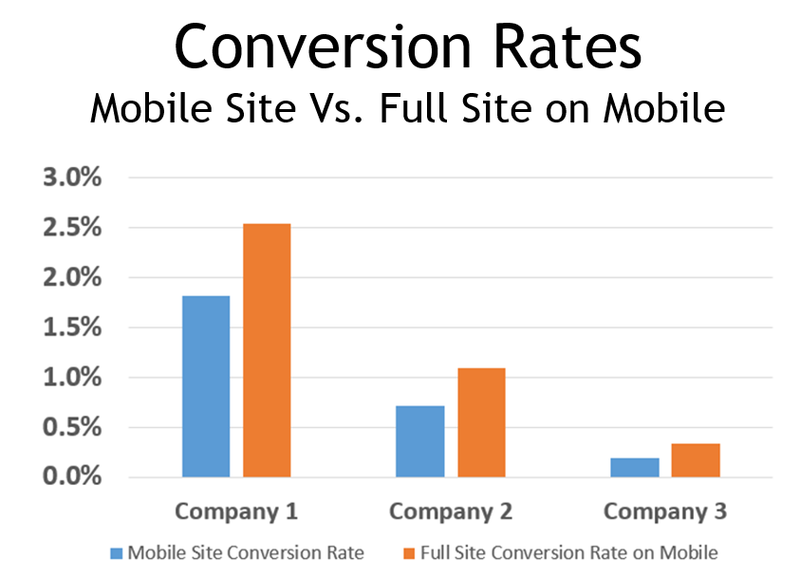 Nearly 1/3 of users (sometimes more) were ditching the site specifically designed for mobile in favor of the full site. We even saw that they were more likely to convert off the full site. This is astounding! These advertisers would be seeing better PPC results if their mobile-specific landing pages didn’t exist! What’s even more painful is imagining how many prospects they lost out because their mobile sites were so poor. Undoubtedly, the less-than-committed visitors abandoned the site entirely upon arrival or got too frustrated to follow through with a conversion on the crappy landing pages. If you run this test and find results similar to these, you have a fool-proof case to prove that it’s high time for a mobile site rebuild. Take the time to address these mobile advertising mistakes and you’ll see more PPC conversions pouring in in no time! Where not noted above, data is based on a sample size of 1,600 accounts (WordStream clients) representing SMBs in all verticals who were actively advertising on mobile on the Google Search Network in Jan 2015.